Birla tower on barakhamba road at connaught place, Super prime location delhi no. -1 commercial address for an corporate office in connaught place. Office space is available in most prominent building having super built area 5,000 square feet. Currently now it is very well furnished and highly maintained property, Ready to move in. 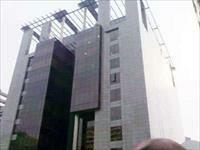 Barakhamba Road is a great address to have for any corporate. It has been the heart of Delhi's financial activity.